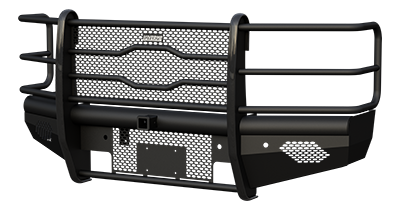 The Journeyman™ is built to be one of the strongest replacement bumpers available. Its all-steel, one-piece build and 2" receiver is tested and rated to 25,000 lbs. straight-line pull. It also features industry-leading rust resistance with a powder coat and zinc primer finish.